Yorkshire, the largest county in England, has a huge variety of countryside and a vast array of things to do whilst enjoying its wild beauty and rugged charm. 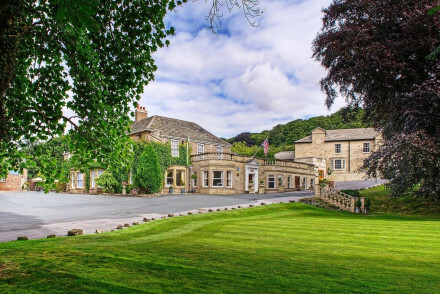 The cities of York, Leeds, Sheffield and the spa town of Harrogate are good bases from which to explore and can boast many of the best places to stay in Yorkshire, but the countryside and villages are also teeming with good hotels and pubs. Yarm is a good place to stay for the North Yorkshire moors and for access to neighbouring County Durham. Helmsley is a handsome market town to the north of York, and again is a great destination if you want to discover the North York Moors - it's a popular year round destination for walkers. If you want to get to know the Yorkshire Dales, we recommend you stay in either Richmond or Skipton, both charming towns with plenty to see and to in the surrounding area. The people of Yorkshire are rightly proud of their county and its sporting prowess and few who know it can have been surprised when Yorkshire came 15th in the medal table at the 2012 Olympics in London. Regarded as one of the spiritual heartlands of cycling in the UK, Yorkshire is a must for anyone who likes to explore on two wheels. 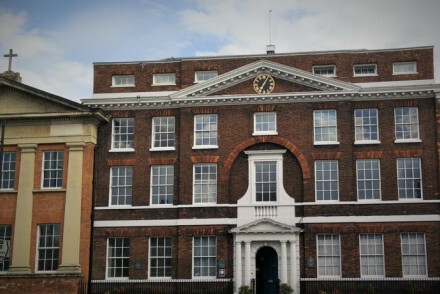 York Castle Museum is a wonderful day out, filled with a variety of artefacts bringing to life the county's history. Stroll through the recreated Victorian Streets or discover what life was like on the front line in the First World War. A great choice for families. Pack a picnic and wander around Fountains Abbey and the surrounding Studley Royal Water Garden. This historical site, serenely situated by the River Skell, has a certain mysterious aura to it, and the kids will love running around the woodland adventure park. Be sure to visit the Royal Armouries Museum in Leeds, home to the national collection of arms and armour. With free admission, over 8,500 objects and 6 themed galleries, what's not to love? Brimming with history. Visit the Yorkshire Wildlife Park, home to a variety of exotic animals including lions, tigers, leopards and wallabies! A dynamic centre for conservation and welfare, this isn't at all like your average zoo. 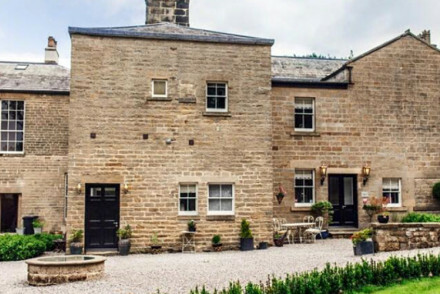 The best places to stay in Yorkshire get snapped up quickly during the busy summer months and school holiday periods, so early booking is recommended. 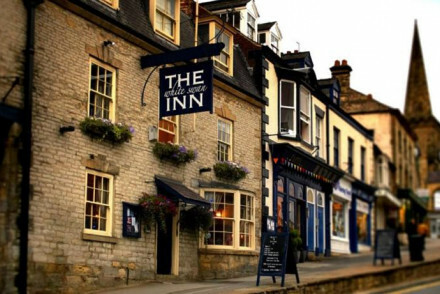 For tradition and comfort executed in a modern style, the Star Inn, a pub with rooms near Helmsley, is fabulous. One of the rooms has a pool table at the end of the bed, but if that isn't recommendation enough, breakfast is eaten in a beamed circular room at a circular table. A lovely laid-back mixture of rustic and modern with great food, it is highly recommended. 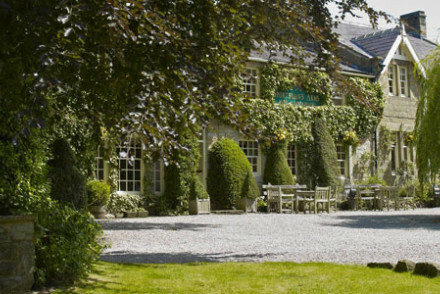 The Devonshire Arms is a lovely country house hotel set in glorious parkland with a spa, two good restaurants (one boasting 3AA Rosettes) and a Helipad. 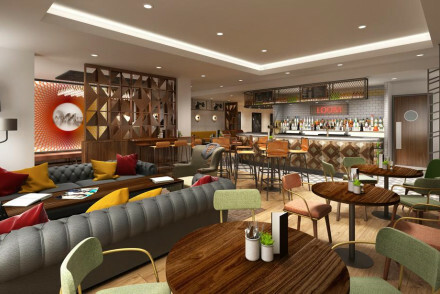 Its sister hotel, the equally comfortable Devonshire Fell is more informal with bold colourful interiors. Guests have access to the pool and spa facilities of the Devonshire Arms. 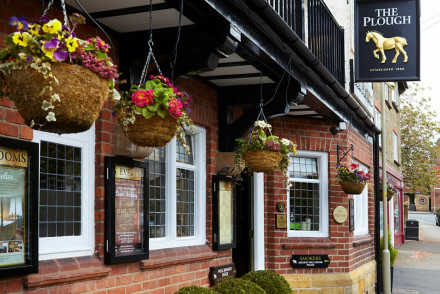 Another relaxed pub with rooms is the White Swan Inn, an updated 16th Century coaching inn in Pickering. The stultifying traditional residents lounge of old has been re-imagined here as the Club Room kitted out with pool table, newspapers, magazines and an honesty bar. 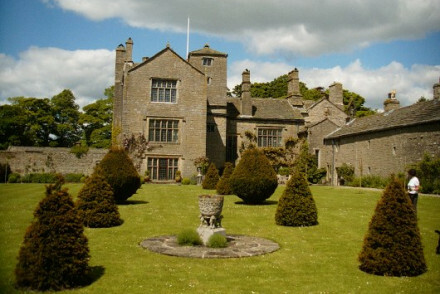 The Traddock is a cosy Georgian country house hotel in stunning countryside on the edge of the Yorkshire Dales. All bedrooms are individually decorated, some with roll-top baths. Dinner in the award-winning organic restaurant is a treat. 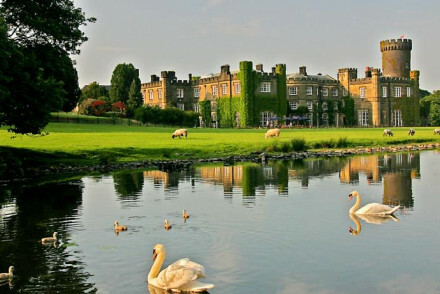 The eco friendly Swinton Park Hotel, set in a castle amidst 200 acres of parkland (with a lake and walled garden) between the Yorkshire Dales and North York Moors National Parks, manages to be grand yet unpretentious. The food is mostly sourced from the estate and there is a cookery school in the former stables run by Chef Stephen Bulmer. For those who prefer to base themselves somewhere more urban the excellent Hotel du Vin chain has places to stay in both York and Harrogate. The bedrooms in Hotel du Vin York, housed in a purpose-built extension, are boutiquey and comfy with splashes of colour. The reliable bistro has a racing theme. Hotel du Vin Harrogate feels slightly corporate but is comfy and cheery with a champagne and claret bar which must look irresistible after a long day. 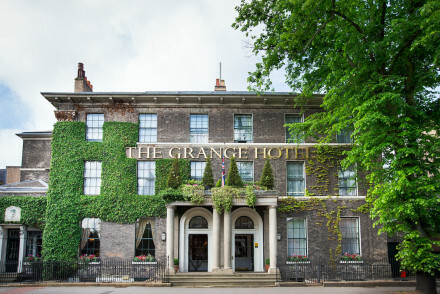 Back in York, The Grange is a traditional Georgian hotel in a great location at the heart of the city. A mix of country house style old school in some bedrooms and Farrow & Balled wooden-floored modernity in the public areas. The owners know how to look after their guests well. 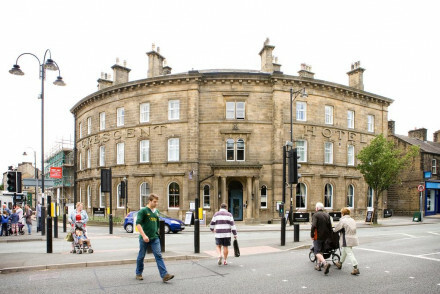 The hundred year-old Balmoral in Harrogate has similar drinking and eating areas but with slightly more modern bedrooms. Open fires and a lively bistro make this a popular spot. 42 The Calls in Leeds was one of the first boutique hotels to open outside London and is still the best place to stay in the city. 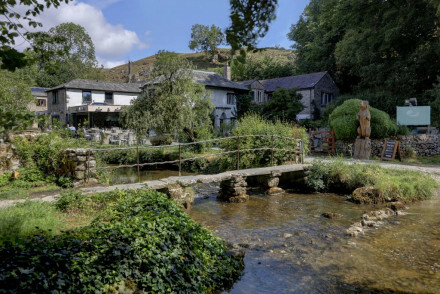 A converted 18th century corn mill, the bedrooms verge on the masculine but are full of rugged character. The rural Charles Bathurst Inn is a converted 18th-century inn with charming light rooms. It boasts spectacular views of the surrounding Yorkshire Dales, and is the perfect base from which to explore the area on foot or on bike. 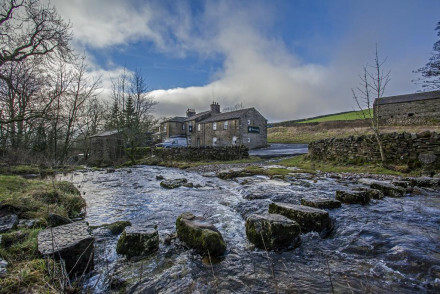 The characterful Low Mill Guesthouse, set in a renovated mill, is located in the heart of the Dales. Hire a bike and bomb off around the countryside before returning to delicious home cooked meals. Stow House is a large county vicarage with a modern makeover. It offers chic, light-filled rooms featuring exposed wooden beams and vintage furnishings. Arrange to go horse riding for the best way to see the area! 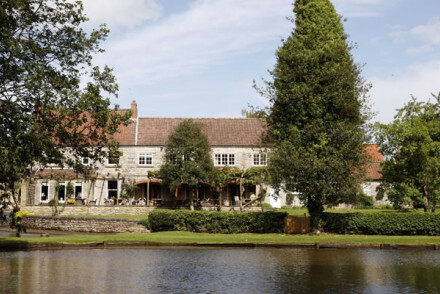 The Devonshire Arms, encircled by superb hiking trails, offers clay-pigeon shooting as well as fly-fishing nearby. What's more, you can head to Bolton Abbey Estate and partake in falconry! Plus, there's an indoor pool to relax in after a long day hiking. The boutique 42 The Calls, a renovated 18th-century corn mill, offers large contemporary rooms with original features overlooking the river. Close to all Leeds' top sights, it's a great romantic city spot. Ashmount Country House is a 5* spot offering elegant rooms complete with four poster beds, fireplaces and some have private terraces with hot tubs. Enjoy champagne breakfasts and candlelit dinners for two after long hikes around the countryside. 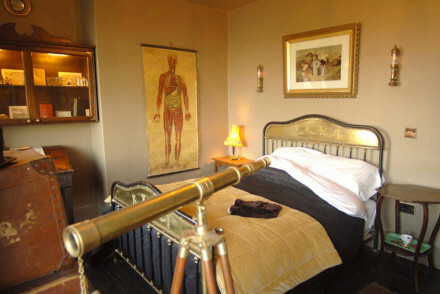 The Wensleydale Heifer, situated in the Yorkshire Dales, boasts a range of unusually-themed but cosy rooms. Relax in the lounge's leather armchairs and enjoy a drink after a day out. Plus, they have 5 (that's right, 5!) chefs on site and an award-winning restaurant. 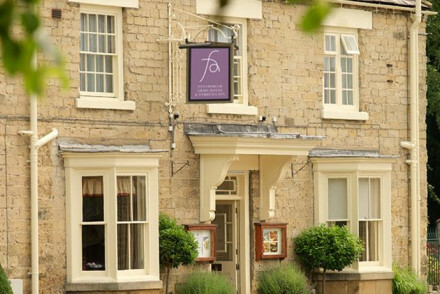 Feversham Arms Hotel & Verbena Spa offers chic accommodation in the market town of Helmsley. With tandem massages, roaring fires and deep soaking tubs, it's a lovely romantic getaway. Crathorne Hall Hotel is set in fifteen acres of beautiful countryside. With a 2 AA Rosette restaurant, elegant interiors and recently refurbished rooms, it's the ideal location for an intimate wedding. 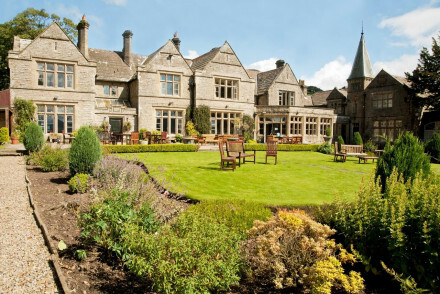 Wood Hotel & Spa boasts a wonderfully serene location with 100 acres of grounds. Unwind in the spa and enjoy superb meals at their Georgian restaurant. An idyllic escape. Star Inn is a Michelin-starred gastropub with rustic, hunting-style rooms and a friendly atmosphere. Enjoy splendid cuisine at the restaurant after hiking around the area. Oozes character. 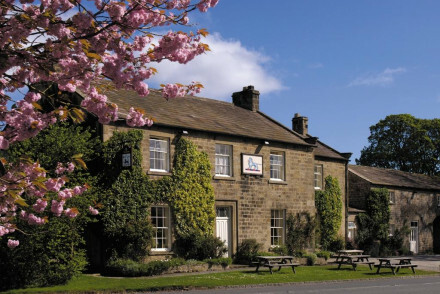 The Lister Arms, situated on the Pennine Way, offers pretty accommodation with soft hues and lovely views. Family suites are available and you can enjoy home-cooked dinners in the restaurant! What's more, it's pet friendly - so the whole family can enjoy its lovely setting. 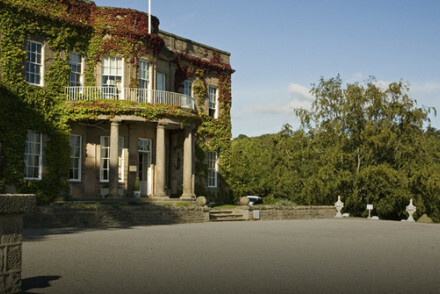 The wonderful Swinton Park Hotel is a luxurious castle with a relaxed atmosphere. Large chic rooms on offer, (including family suites), whilst there's 200 acres of gardens for the kids to run around in! Plus, there's a variety of activities to get stuck into. If you're travelling with a group of friends or family, renting a holiday night be the best bet. To see a complete range for all budgets visit our online partner, booking.com. It's best to visit Yorkshire during the summer time, in July and August the average daily temperature is around 16°C (with highs of up to 21°C). It's never going to be scorching, but if you manage to catch a few good days of sun then you'll love exploring the county's countryside! International visitors would be best served by flying to Manchester Airport, just across the county border in Lancashire. If you're taking the train up from London or down from Edinburgh then there are a variety of daily options running along the east coast. 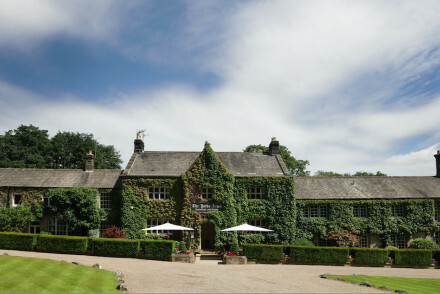 Expand your search to check out the best places to stay in neighbouring Lancashire. 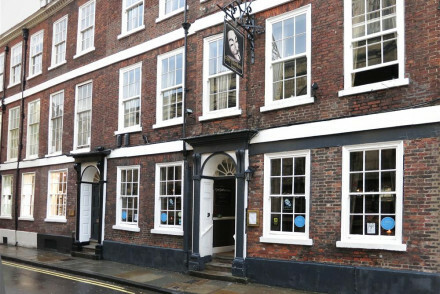 Charming Georgian-style inn, with narrow passageways and steep staircases, in the heart of York. All twelve distinctly designed en suite rooms offer unique city views. Modern, locally sourced pub food is served in the restaurant, while homegrown cask ales are on offer in the atmospheric beer garden. 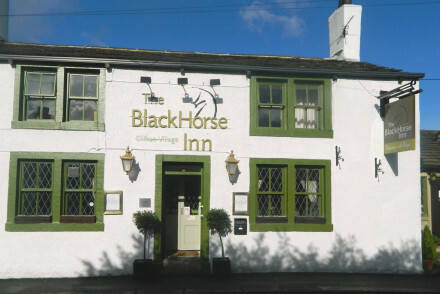 The Black Horse Inn offers a quintessentially British stay set in quaint Clifton village. The cosy rooms are carpeted, with rustic decor featuring low ceilings and exposed beams. With a friendly pub serving locally-brewed beers and a restaurant offering innovative cuisine. A charming stay. A 17th-century coaching inn, tucked beneath Whitby’s historic abbey, that creaks with character. Its ten quirkily shaped rooms mix original features with a cool, fresh look while the restaurant offers a bistro-style menu. Distinguished guests include the likes of Dickens and Captain James Cook. Fishing - The lively Whitby Harbour has seen fisherman come and go each day for centuries. Join in for a day. Local markets - Whitby Farmer's Market has a vibrant selection of local produce. Great walks - The North York Moors are all but on your doorstep. Sights nearby - Whitby Abbey is a historic must see. An Edwardian mansion with decor styled by Country Living, so expect exacting standards and some serious class. Interiors feature soft tones, statement furniture (either distressed or flamboyant) while the rooms are chic and homely. plus there's a good restaurant championing Yorkshire produce. 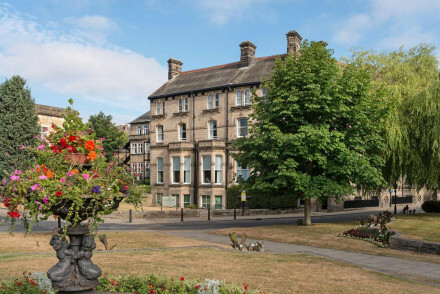 A stunning Victorian town house, now boutique hotel, located in historic Harrogate. A handful of chic rooms are individually styled with plush headboards, heavy draped fabrics, crisp white linen and enormous windows. A fine dining restaurant and atmospheric bar lounge make this a fabulous stay. 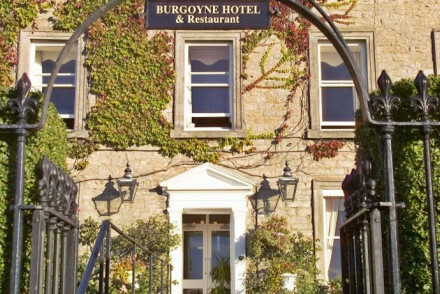 Local exploring - Ideally located to explore the spa town of Harrogate and the beautiful surrounding countryside. Great walks - Take a stroll through the RHS gardens at Harlow Carr. Traditional Yorkshire pub provides excellent food and accommodation. Situated in the Yorkshire Dales, this award-winning pub boasts recently renovated rooms with picturesque views, a guest library and a delicious modern British menu. A welcoming countryside retreat. 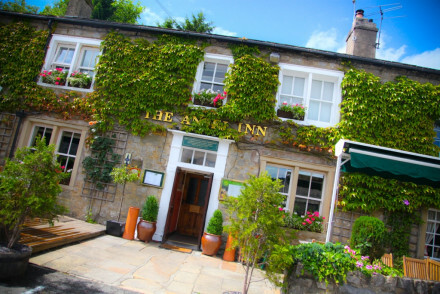 A smart pub-and-restaurant-with-rooms in the centre of Ilkley, well-placed for walking on the famous moors, strolling along the riverside or day-trips up Wharfedale. Rooms are boutique-simple and there’s a choice of dining: French bistro, or real-ale pub. Sights nearby - Take in nearby sights such as White Wells Victorian spa-baths and Bolton Abbey with its 12th-century Priory. Great walks - Ilkley Moor offers plenty of walks as well as walks up Wharfedale are 30-minute drive. Local markets - Browse the local market at Ikley. Unusual guesthouse in an elegant living convent. Newly refurbished comfortable rooms, a baroque chapel, Victorian garden and glass roofed entrance hall make this an impressive building. A cafe serves meals until high tea. Best of all is staying amongst the sisters of the convent. Total relaxation - Unwind in this tranquil convent, enjoy afternoon tea in the walled garden and read up on the towns history in the library. Sights nearby - Visit the nearby York Minster, one of the largest Gothic cathedrals in Europe. A charming hotel in a quaint historical Yorkshire village. Spacious rooms are individually styled with soft hues, cast iron beds and simple furnishings. Indulgent breakfasts are served in a cosy dining room. A delightful spot to explore the picturesque region. Active Holiday - With the Yorkshire Dales on your doorstep and the plethora of outdoor pursuits it holds there's something for everyone here. Sights nearby - Visit the imposing Bolton Castle which once housed Mary Queen of Scots. Great walks - Take the 4.5 mile walk to the spectacular Aysgarth Falls. 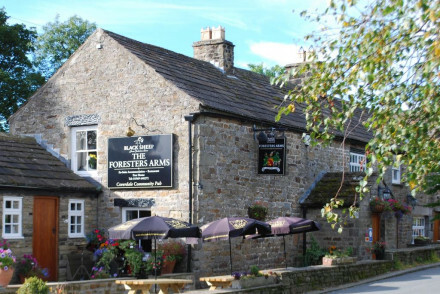 A gloriously situated coaching inn, on the Pennine Way, in the Yorkshire Dales National Park. Pretty rooms with soft hues and lovely views. Unwind in the buzzy bar with dogs, fires and home cooking. The perfect base for walkers and those looking for some peace and tranquility. 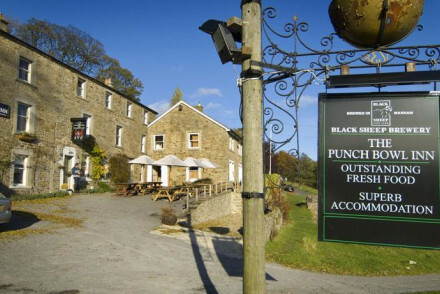 Country Escape - Enjoy great ales and food at this postcard pretty inn situated in the National Trust's Malham village. Great walks - Explore In the beautiful Yorkshire Dales National Park section of the National Trial, Pennine Way. Sights nearby - Guests should visit the pretty market town of Skipton. The Florentine is a charming pub with rooms not far from the city centre. It offers eleven smart contemporary rooms with luxury accessories, excellent food in the restaurant and a buzzing bar. Plus a location that gives you great access to both the Peak District and the Steel City. Local exploring - A great base from which to explore the Steel City. Great walks - Go exploring in the nearby Peak District, less than ten miles from the hotel. Sights nearby - Take a trip to the Sheffield Botanical Gardens. 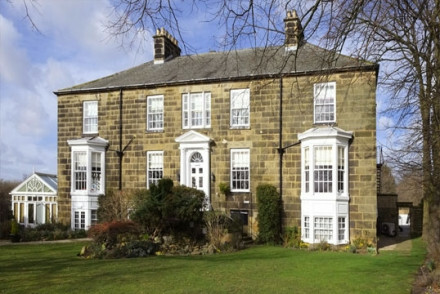 Stylish bed and breakfast in Harrogate's fashionable Duchy Estate area. Ten individually designed bedrooms plus a coach house which is perfect for families. Smart interiors include hardwood floors and statement rugs. Just a five minute walk from the centre of town & easy access to the Dales. Local exploring - A great base to discover Harrogate with its antique shops and the iconic Betty's Tearoom or further afield the Yorkshire Dales. 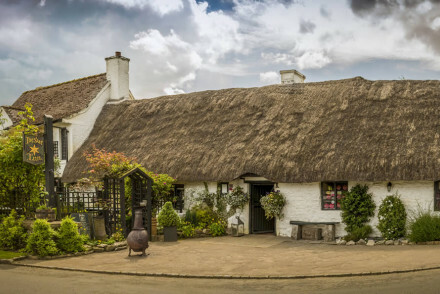 A delightful village pub brought back to life by the community. The three rooms are traditionally dressed with contemporary bathrooms complete with underfloor heating. The restaurant and bar serve up hearty British classics alongside an excellent choice of ales. 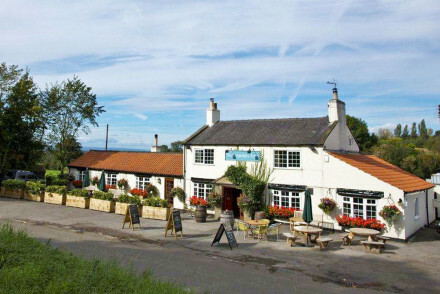 Country Escape - A charming village pub set in beautiful cycling and walking country. Sights nearby - Visit Middleham Castle, built in 1170 and known to be a favourite home of Richard III. Great walks - Know as the 'forgotten dale', find miles of unspoilt countryside to be explored. 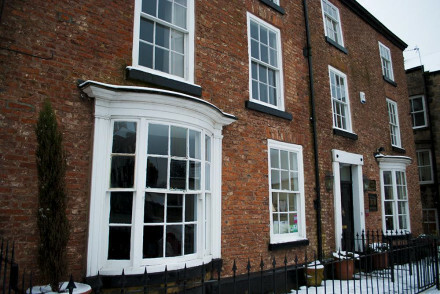 A historic property turned B&B, situated on the River Nidds and below the towering viaduct in the spa town of Knaresborough. Filled with charming quirks throughout, the property's character has not been lost in the renovation. Manned by a delightful host who is always willing to give local tips. 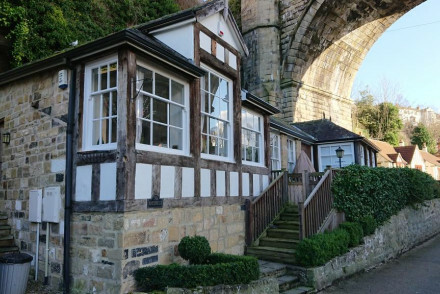 Local exploring - Perfectly positioned on the river and beneath the viaduct in the heart of the spa town of Knaresborough. Great walks - Wander through the picturesque RHS Garden Harlow Carr. Sights nearby - Stroll down to the majestic Knaresborough Castle. 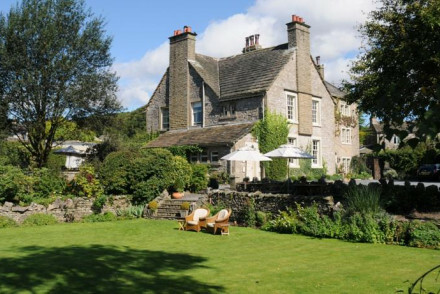 A charming white house set in the picturesque and rugged scenery of the Yorkshire Dales. Traditionally designed rooms have a warm rustic feel, with hardwood furniture and exposed beams. The superb restaurant serves modern British fare using local produce. An utterly idyllic rural retreat. 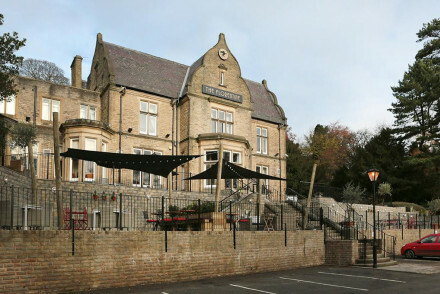 Commanding one of the best positions in Whitby, high on the West Cliff with views to the famed Abbey, this hotel is just as startling inside. An Aladdin’s cave of vintage-themed rooms, it charms and disarms. Afternoon tea-parties, too. Sights nearby - Within walking distance of Whitby Abbey. Great walks - Up Whitby's 199 steps. 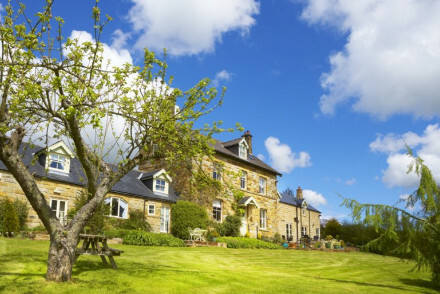 Charming B&B at the foot of the North York Moors forest. Elegant, fresh rooms have wrought iron beds, original 18th century fireplaces and lovely bathrooms with complimentary toiletries. Delightful kitchen garden and vegetable patch; great breakfast served by friendly owners. Good value. 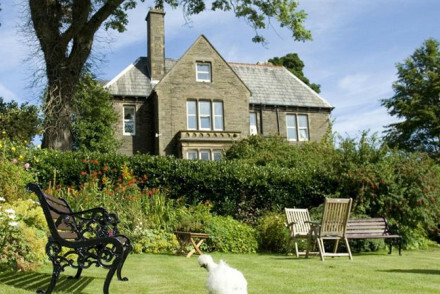 Cold Cotes is a charming B&B just a few miles north of Harrogate. Set in renovated farm buildings, the guesthouse features excellent rooms and a lovely garden to relax in. A great launchpad for exploring the beautiful countryside surrounding Harrogate. Local exploring - A great base for exploring the countryside surrounding Harrogate. Sights nearby - Visit nearby sights such as The Valley Gardens and Ripley Castle. 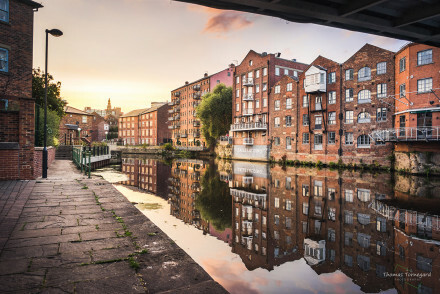 This 18th Century corn mill conversion on River Aire was Leeds' first boutique hotel and remains a hot spot for both business and leisure guests. Contemporary rooms house art works, TV and the homely touch of daily made biscuits. The romantic notion of breakfast in bed is lived to the full here. Value chic - With smart double rooms starting from just £89 including breakfast, it's great value for money. Sights nearby - Leeds Art Gallery is home to some fantastic permanent exhibits, as well as a cafe with noteworthy small bites. Great walks - Head to the Moors for some fresh air, stunning views and a of course a hearty pub lunch! 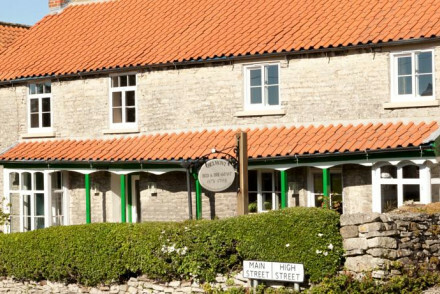 This cosy inn is located on a beautiful stretch of the Yorkshire coast, nestled between beaches and national parks. Offering stylish, comfortable rooms and cottages, this is the perfect place for both a relaxing romantic getaway or an active family holiday. Conviently located four star hotel in the centre of Leeds. Contemporary classic rooms, designed with a nod to Leeds' heritage as a centre for tailoring, with all the mod cons, plus The Loom brasserie for food and drink. A stylish city spot for the business or leisure traveller. Sights nearby - You're within a short walk of all of Leeds' highlights. 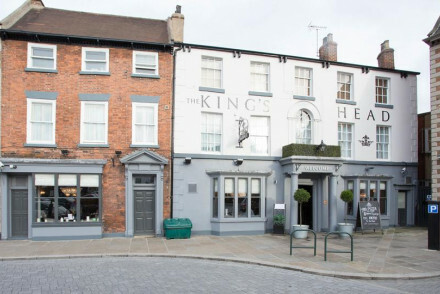 Located in the centre of the quaint market town of Beverley, this recently revamped pub and hotel features stylishly decorated rooms with Venetian style furnishings, a gastro pub serving English classics and a buzzing cocktail bar. The perfect base for those wanting to explore this historic town. 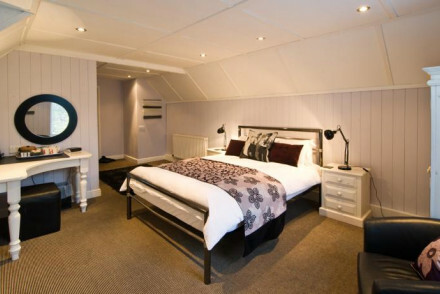 Value chic - With seriously smart rooms from as little as £90 per night the King's Head is excellent value for money. 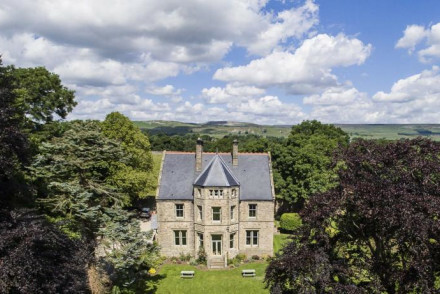 Located in the Esk Valley with views of the moors sits this eight bedroom property. All rooms are light with contemporary decor and modern bathrooms. Enjoy tea and scones in the sitting room or sun dappled gardens. There is also a full English or Continental breakfast to look forward to. A small boutique guest house hotel with eight elegant bedrooms, each individually decorated with a luxurious Scandinavian feel. The in-house kitchen serves Scandinavian inspired meals throughout the day. Enjoy a restful nights sleep and start the morning with a brisk walk through the adjacent park. Romantic Break - A perfect weekend away for two, charming and light rooms with deep soaking tubs, gourmet meals and lovely walks in the park. Local markets - Just down the road is Sharrow Vale Road, a foodie's heaven packed with delis and local produce. Great walks - The hotel sits ober Endcliffe Park, a beautiful spot for an afternoon stroll. 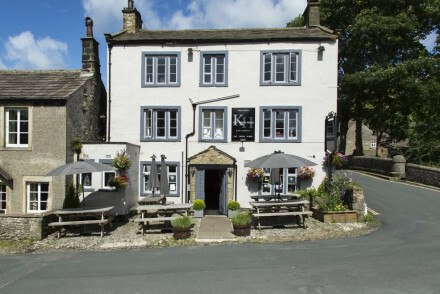 A charming and characterful 17th century coaching inn in the village of Low Row. 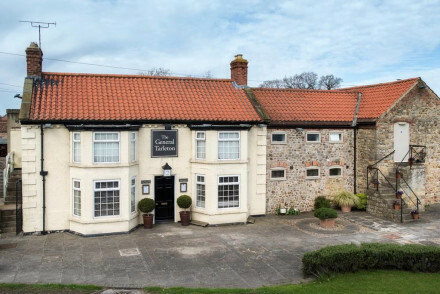 Sister hotel to the Charles Bathurst - simple, comfortable with fantastic food and excellent location. 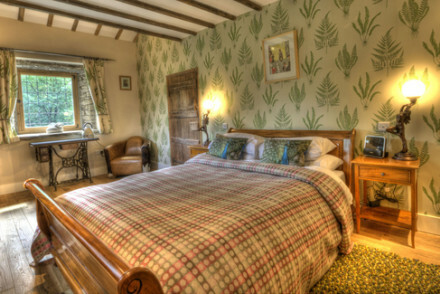 Stylish rooms offer fantastic views of the prime walking country of the Yorkshire Dales. Groups - Enjoy the special package for groups, offering you afternoon tea, champagne reception, full breakfast and a three course meal. Country Escape - A wonderful retreat from city life, long walks, comfy beds, plenty of pints and hearty meals. Sights nearby - Half an hours drive brings you to the town of Richmond, famed for its Georgian Theatre and Richmond Castle. Great walks - An ideal location for exploring the many walking routes through the Yorkshire Dales National Park. Spectacular views of the Yorkshire Dales from this convivial converted 18th-century inn. Light modern characterful rooms. Hearty British food served in cosy surrounds. Ideal walking and cycling country. A fine country escape. 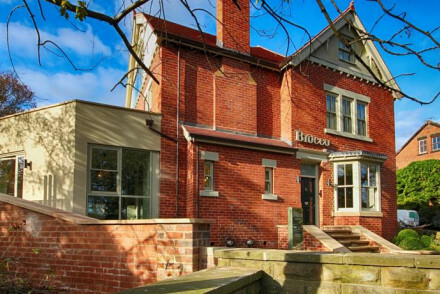 5* hotel in Bronte Country. Elegant bedrooms have big four poster beds, chandeliers, fireplaces, and some with private terraces with hot tubs. Sauna, hot tub, and 3/4 acre garden. Superb locally-sourced dining in the restaurant. Romantic and historic with excellent staff. Private Hot Tub - There are a choice of three rooms which have their own hot tub. A traditional 'restaurant with rooms', complete with neighbouring guesthouse, in the historic town of Skipton. Rooms are individually styled some more traditional than others; the best being a suite at the top of the coach house. The restaurant serves superlative hearty British fare. Foodies - With a background in cattle farming and butchery this is a hearty, meaty affair. Perfect for feasting on after a country walk. Sights nearby - Take the short walk to Skipton Castle built in 1090. Great walks - Head out of the town in to the picturesque Dales. 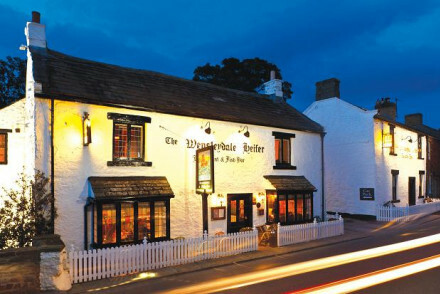 A charming traditional Inn located on the edge of the Yorkshire Dales. Cosy rooms are quintessentially British with gingham or chinese print fabrics, antique furniture and beamed ceilings. The bar and restaurant is everything you want; roaring fires, hearty food, friendly service and good ales. 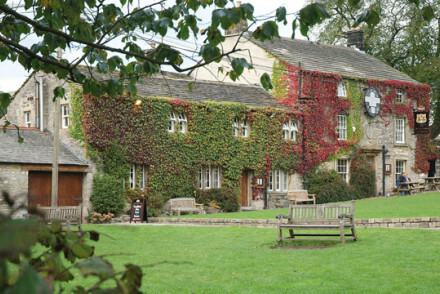 Country Escape - A cosy traditional Inn on the edge of the beautiful and rugged Yorkshire Dales. Sights nearby - Visit the English Heritage run Middleham Castle, childhood home of King Richard lll. Great walks - Spend days exploring the vast and glorious Yorkshire Dales National Park. A majestic property in the heart of the city. Spacious suites and rooms benefit from enormous sash windows, tasteful antiques and traditional fabrics. Sip a cocktail at the atmospheric bar, dine in the restaurant or indulge in high-tea in the lounge. The height of luxury. 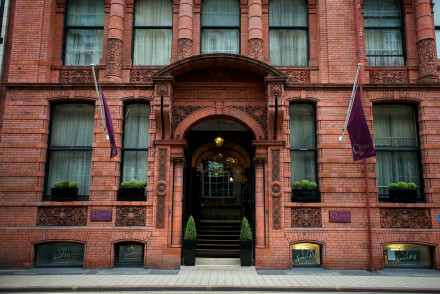 City Style - A sophisticated and elegant hotel in the heart of the city. Great walks - Get out of the city and take long walks through the rugged and picturesque Dales. A charming Grade II listed property in a quaint village besides the North York Moors National Park. Elegantly styled rooms feature polished parquet flooring, steel grey walls, traditional paintings and contemporary bathrooms. A warm and friendly base from which to explore the region. Country Escape - A cosy property located in a village on the on the edge of the North York Moors National Park. Sights nearby - Visit the impressive York Minster, the second largest Gothic cathedral in Northern Europe. Great walks - Embark on long and picturesque walks through the North Yorkshire Moors National Park. 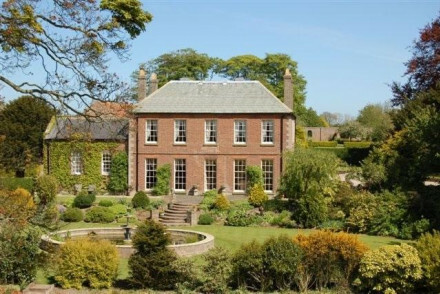 Simonstone Hall is a glorious country house in the heart of the Yorkshire. Boasting lovely, comfortable rooms and host of culinary options including private dining in the house's atmospheric wine cellar. A great choice for those looking to explore the charms of the Yorkshire Dales. Sights nearby - The surrounding area is home to a number of stunning abbeys such as Jervaulx, Fountains, Easby and Mount Grace Priory. Birdwatching - There are great birdwatching spots at nearby Nosterfield and Marfield. Great walks - The surrounding countryside is full of wonderful walking trails. A boutique property located in the heart of the historic town of Richmond. Individually styled rooms are luxurious and cosy with patterned wallpaper, antique furniture and the best have four posters and open fires. Expect indulgent breakfasts and an ever-friendly welcome. Local exploring - Ideally located to explore the historic town and its surrounding countryside. Great walks - Find a wide variety of walking trails starting straight from the edge of town. Sights nearby - Visit the ruins of the Norman fortress, Richmond Castle. A traditional British Inn with lively restaurant and cosy bar. Open log fire and authentic wooden beamed ceilings. Bedrooms are bright, airy and comfortable. Private dining available - good for groups looking for a weekend getaway in the country. Lots of scenic walks. 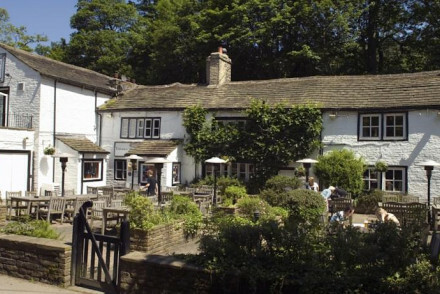 Located in the Yorkshire Dales, the White Lion is recently restored and has kept traditional features including original beams, open log fire and flagstone floors. Beautifully dressed, cosy rooms, a restaurant with classic British fare and a great pub. What more do you need for a weekend away? 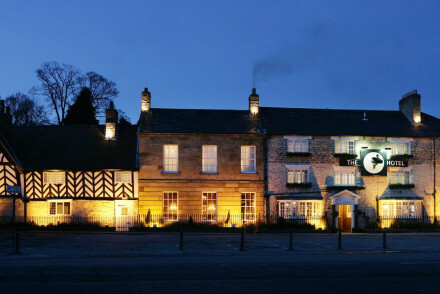 Small country house hotel in North Yorkshire handy for the North Yorks Moors National Park and Durham Cathedral. Set amid fifteen acres it offers a quiet rural escape and is the ideal venue for an intimate wedding or small business event. Great walks - There are spectacular walks to be had in the area. Or simply explore the extensive grounds. Sights nearby - Good location for visiting Durham Cathedral, Darlington Railway Museum and Barnard Castle. Welcoming village hotel with a country house feel. Plush, comfortable rooms with superb outlooks. Excellent modern British Dinners served in an elegant restaurant. Set in a stunning part of the Dales ideal for all manner of outdoor pursuits. A great escape for urbanites. A traditional Townhouse boasting an excellent location on a quiet residential street close to the city centre. Elegant rooms are individually styled, filled with antiques and feature luxurious bathrooms. An award winning restaurant makes this property hard to beat. Local exploring - Ideally situated to access York's many attractions. Great walks - Walk along the old walls of the city and enjoy the fantastic views. Sights nearby - Visit the iconic Gothic-style medieval cathedral of York Minster. The Old Coaching Inn on the Ripley Castle Estate offers an elegant, intimate stay with classic rooms filled with antiques and paintings. Both formal and bistro dining is popular with guests and the locals. 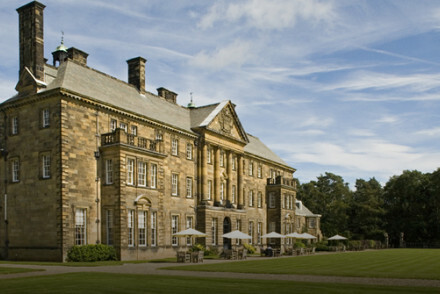 Visit nearby Harrogate, explore the Yorkshire Dales and the 14th Century castle. Country Escape - A perfect spot to getaway from it all, nestled in the extensive grounds of Ripley Castle and surrounded by the Yorkshire Dales. Sights nearby - On the same estate as Ripley Castle, guests must be sure to check out this 14th Century country house and gardens. Great walks - Explore the limestones valleys on the neighbouring Yorkshire Dales National Park. A charming guesthouse, brimming with character, set in a renovated 18th century mill. The mix of original mill features with eccentric furnishings, gives the rooms peculiar charm. The owners offer delicious home cook meals that can be enjoyed in the atmospheric dining room. A quirky, rural hotel. Active Holiday - The perfect cosy base to return to during a walking or cycling holiday in Yorkshire. 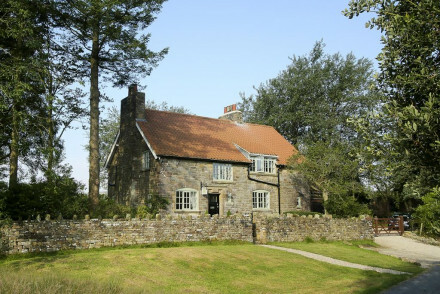 Country Escape - The ideal spot for a hideaway holiday exploring the Yorkshire Dales. Great walks - Beautiful walking in surrounding countryside including a riverside walk to the stunning Aysgarth Falls. Sights nearby - History buffs must be sure to check out the nearby Bolton Castle. 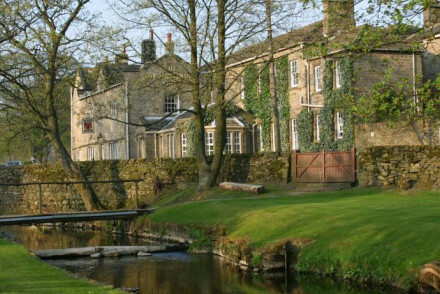 Set in a lovely grade II listed building, Grassfield Hall is an excellent B&B on the edge of the Yorkshire Dales. A modern interior renovation has transformed the house's rooms into stylish, contemporary suites. A great launchpad for exploring the beautiful Yorkshire surrounds. Sights nearby - Visit nearby sights such as Ripley Castle	and Bolton Abbey Estate. Great walks - Go walking and explore the nearby Yorkshire Dales. 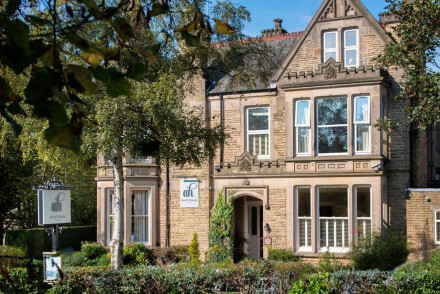 Boutique bed and breakfast nestled in the peaceful surroundings of the Yorkshire Dales, with convenient access to the charming towns of Harrogate and Ripon. Elegant rooms are inspired by the local environment and continental breakfast is included This quaint B&B is the perfect rural retreat. Sights nearby - Nidderdale Museum in Pately Bridge covers all aspects of rural life in the past. Great walks - Nidderdale Area of Natural Beauty has many walking trails to follow. Large, country vicarage with a cool, modern makeover offering uncluttered, light-filled rooms and glorious views over Wensleydale. Contemporary art, vintage furnishings, sensational cocktails and a tranquil atmosphere. Sights nearby - Aysgarth Falls and Hawes village with Wensleydale Creamery are both nearby. Great walks - Beautiful walks in the surrounding Aysgarth area. 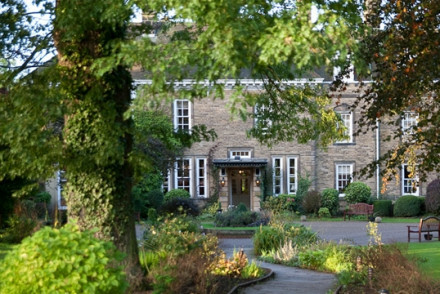 Attractive small country house hotel just outside Wetherby. Set amid 100 acres of its own grounds, privacy and serenity are guaranteed. Enjoy a relaxing day in the spa followed by an indulgent dinner in the Georgian Restaurant. The ideal country escape from it all. 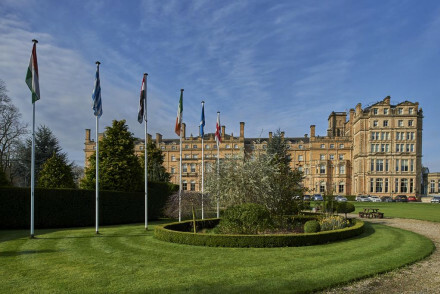 A well-named hotel in a historic, former railway-company HQ, this place offers five-star levels of service, a spa and a choice of dining options. Bedrooms are vast, comfortable and designed for the modern traveller. Sights nearby - Visit York Minster, the largest Gothic Cathedral in Northern Europe. Great walks - Go for a walk along the city walls. This traditional, period Harrogate property sits overlooking The Stray and its 200 acres of open park land. All rooms are decorated in neutral palettes with bright, accent prints with coffee machines and modern bathrooms. Opt for a balcony! There is also an award winning restaurant and popular bar. Great walks - The Yorkshire Moors have long attracted walkers and ramblers alike - see the famous Brimham rocks. Local markets - Sample local treats at the Harrogate Famer's Market, located on Cambridge Street. Sights nearby - Ripley Castle, St Wilfred's Church and the Royak Pump House are all close by. 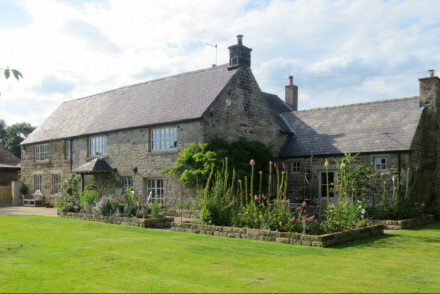 Old coaching inn turned cosy B&B situated in a beautiful Yorkshire valley. Individually designed rooms with sleek en-suites. Delicious seasonal, locally-sourced food in the restaurant. The perfect spot for a country escape and ideal for keen walkers. 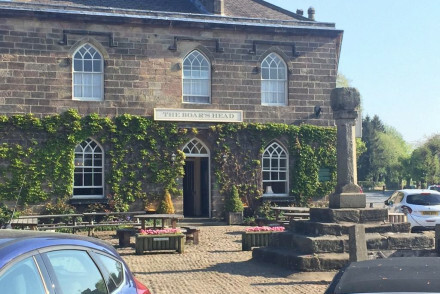 A lovingly converted pub in the historic, picturesque village of Felixkirk. Offering the best of the old and new, the main building is warm and characterful with traditional trimmings. In contrast, the garden suites are chic and modern. The food in the restaurant is superlative and setting idyllic. Country Escape - A stylish country retreat complete with hearty food and surrounded by fantastic walking country. Sights nearby - Visit the Church of St. Felix which has parts that date from before 1175. Great walks - Find miles of scenic walking trails starting straight from the property. A boutique property boasting an enviable location on the edge of the North York Moors. A handful of individually styled rooms feature rich hues, boldly patterned wallpaper and a few choice antiques. Indulgent breakfasts are served, there's a cosy fire-lit lounge and always a friendly welcome. Country Escape - Cosy accommodation located next to the North York Moors National Park. Sights nearby - Discover the spectacular ruins of nearby Whitby Abbey. Great walks - Take long walks across the North York Moors. Old fashioned country hotel in the Nidd valley, popular with walkers. Outstanding countryside. Simple rooms but standout food. An elegant property set in the heart of the pretty market town of Middleham. Beautifully renovated rooms mix traditional and contemporary styles with crisp white linen, exposed beams and antiques. With easy access to the Yorkshire Dales National Park this is the ideal place for a rural escape. 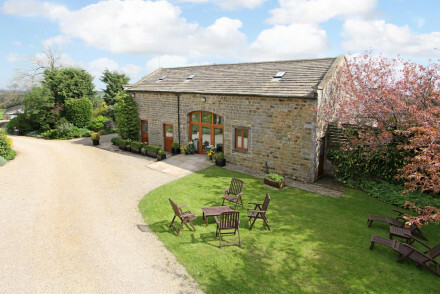 Country Escape - An elegant base with easy access to the Yorkshire Dales National Park. Sights nearby - Visit Middleham Castle, former home to King Richard III and dating back 1000 years. Great walks - Embark on long picturesque walks through the Dales. 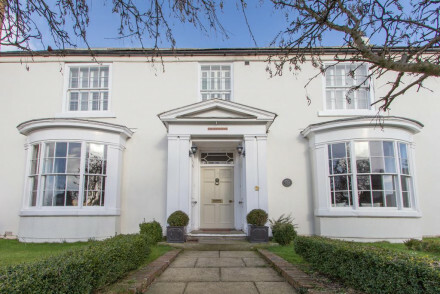 Regency townhouse, now B&B, in the heart of Richmond known for its award-winning garden, love of art and antiques. Three large bedrooms exude comfort and classic style. Breakfast in the dining room or in the garden. Dinners can be arranged for groups. Charming find in a historic Yorkshire town. Sights nearby - Check out Norman-built Richmond Castle and Friary Tower and Gardens, both an easy five minute walk from the property. Local markets - Explore the cobbled streets of Richmond, orgianlly a market town it remains a gathering point for local producers. Great walks - Head out to Yorkshire Dales National Park for some fresh air and brisk walking. Restrictions on children - Children welcome, however good behavour is required. Hotel in old manor house. Charming rooms have antique furniture, four posters, rug-strewn floors and lots of art. Lounge area comes with roaring fire, 13-acre gardens complete with snowdrops. Historic, unusual and authentic. A charming Inn housing a fantastic restaurant and a handful of chic rooms. Design mixes traditional features with contemporary style. The newly refurbished rooms feature crisp white linen, warm hues and Molton Brown products. The atmospheric restaurant serves up exemplary British fare. Fabulous. Foodies - A locally well-renowned restuarant serving superlative British cuisine. Sights nearby - Visit the impressive York Minster before taking a stroll along the historic walls of York. Great walks - Explore the rugged expanse of the Yorkshire Dales. A picture perfect Georgian country house set in 300 acres of manicured gardens. Spacious rooms are traditionally dressed with warm hues, antique furniture, fireplaces and the best boast four-posters. The breakfasts are award-winning and service friendly and efficient. A charming stay. Country Escape - A luxury rural property surrounded by beautifully landscaped gardens and set in glorious walking country. Sights nearby - Visit Castle Howard, an 18th century estate set in beautiful parklands. Great walks - Take long scenic walks in the North Yorkshire Moors National Park. 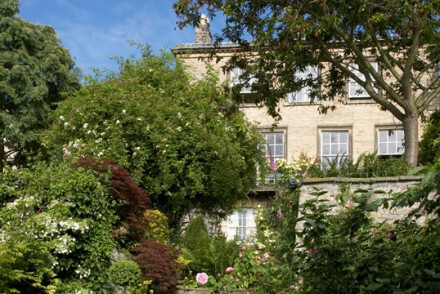 This 19th century property has undergone a unique transformation since taken over by Charles and Angela. A designer's dream each of the seven bedrooms are decorated in an art-deco style with ornate wallpapers, retro mirrors and antique beds. The conservatory speaks of Indian summers and high tea. Great walks - The Yorkshire Dales have some of the most picturesque walking routes, historic villages and plenty of great pubs! Sights nearby - The historic sites of Mount Grace Priory, Fountains Abbey and Newby Hall are all within a short drive. Stately Victorian country house set in 26 acres of attractive gardens. Grand interiors, gourmet restaurant, private woods for walking. An imposing Georgian house set in mature gardens. Individually styled rooms perfectly marry traditional and modern tastes. The fantastic Hide restaurant serves two or three course meals comprising of regionally sourced produce. Hull, the coast and beautiful countryside are all easily accessible. Country Escape - Set in a picturesque part of East Yorkshire and boasting a fabulous restaurant this is the perfect rural package. Great walks - Follow in the footsteps of rebels on the Pilgrimage of Grace heritage trail. Fishing - Fish for pike in Yorkshire's largest natural lake, Hornsea Mere. 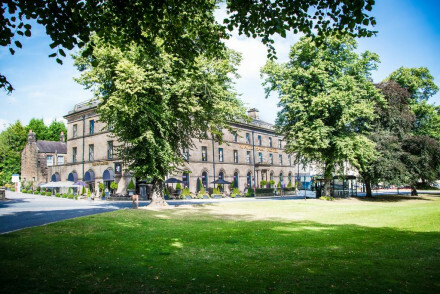 A luxurious hotel in an impressive grade II-listed Georgian house in the smartest quarter of Harrogate. Spacious rooms are cleanly designed with a mix of contemporary and traditional styles. Boasting two fabulous restaurants, one fine-dining, one more relaxed. Ideal for indulgent weekend breaks. 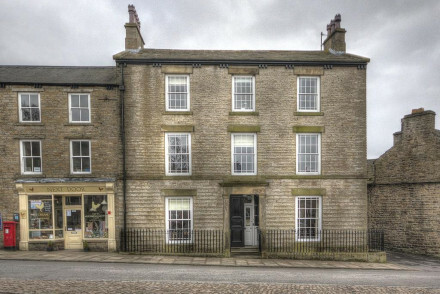 Local exploring - A grand historic property in the heart of Harrogate with both the town's sights and surrounding countryside within easy access. Sights nearby - Take a tour of the privately owned Ripley Castle. 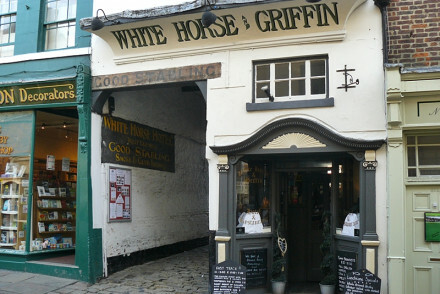 An atmospheric pub-with-rooms in the heart of the city, opposite York Minster and walking distance to the sights. Darkly cosy, with gas-lit bar and dining-room, bedrooms are elegantly simple with well-worn antiques, some with four-poster beds, plus there's hearty food and real ales. Local exploring - An atmospheric hotel walking distance from many of the cities historical and cultural sights. Sailing - Take a romantic boat trip on the River Ouse. Colourful, contemporary-style hotel, on the Duke of Devonshire’s Yorkshire estate, with stunning views over a picturesque Wharfedale village. Ideally placed for walks, exploring local villages or picnicking by the river. Foodies - Feast on the locally sourced 1AA Rosette cuisine in the stylish restaurant, followed by a drink in the cosy bar. Country Escape - On the edge of the Yorkshire Dales National Park, surrounded by rolling hills and scenic country. Great walks - Bring your dog and head out rambling among rolling hills, country lanes and along the River Wharfe. Sights nearby - The UNESCO heritage sights of Bolton Abbey Estate and Fountains Abbey are a short drive away. Built as one of York's premier private homes, The Grange still has a quiet grandeur that has been skilfully updated with a contemporary townhouse look. Bedrooms offer a choice of classic country-house or understatedly modern. Sights nearby - Visit sights such York Minster, the largest Gothic Cathedral in Northern Europe; the city's walls; the Norman Clifford’s Tower. A grand country house in a secluded spot boasting a superb restaurant. Individually styled rooms are sumptuous, designed with chandeliers, heavy draped curtains, pretty patterned wallpaper and ornately carved white furniture. The indulgent bathrooms and adjoining spa make this a relaxing rural stay. 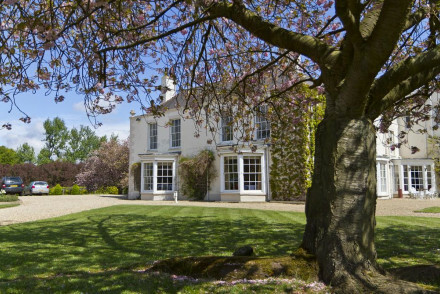 Country Escape - A tranquil country house with luxurious interiors and surrounded by glorious walking country. 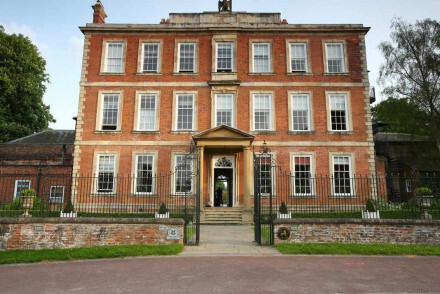 Sights nearby - Take a tour of the grand Burton Agnes Hall. 15th Century drovers' inn turned in the 1950s to a popular pub in the Dales. Oak beams and chic interiors make the comfortable rooms ooze character. The restaurant serves excellent modern British food. Do not miss a chance to explore the wine cave. Great walking from the door. Foodies - Knockout food crafted from the finest ingrediants, former owner was dubbed “Godfather of the Gastropub”. Country Escape - An ideal escape surrounded by wonderful walking in the Yorkshire countryside. Great walks - Between the world heritage sights and the rolling hills and beautiful valleys, a walk is definitely in order. Sights nearby - Close to Skipton Castle and Bolton Abbey. Striking, castle-like stately-home set in sweeping parkland and offering plenty of on-site activities from fishing and golf to a cookery school and sleek spa. Vast rooms, beautiful views and a choice of two restaurants. 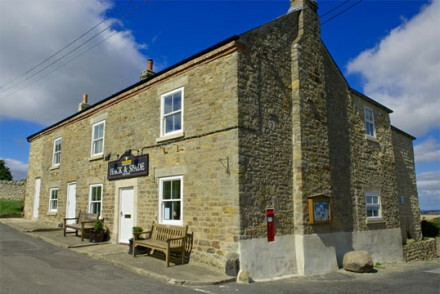 Michelin-starred gastropub-with-rooms in a peaceful farming village, close to the North York Moors. Comfortably rustic rooms in hunting-lodge style, free-ranging hens plus warm, friendly service create a genuinely relaxed atmosphere. Combining country house charm with modern facilities, great grub and a just-off-the-motorway location, Wentbridge House offers a warm Yorkshire welcome for a special occasion or a one-night stopover. Sights nearby - For sculpture enthusiasts visit nearby Hepworth Wakefield and Yorkshire Sculpture Park. Tastefully converted smithy on the southern tip of the North York Moors. Central courtyard with fruit trees surrounded by attractive bedrooms. Indoor pool and award-winning restaurant. Traditional Georgian coaching inn, overlooking the market square, with creaky floors and low ceilings, a smart dining room and a choice of traditional or contemporary bedrooms. Great location and a genuinely friendly Yorkshire welcome. Value chic - A charming and characterful spot with chic interiors, warm and heartfelt service and gourmet cuisine, at a reasonable price. Back to Nature - A warm a cosy spot to retire to after a tiring day exploring the beautiful Yorkshire Moors. Great walks - North Yorkshire Moors on the doorstep with miles od spectacular walking and breathtaking views. 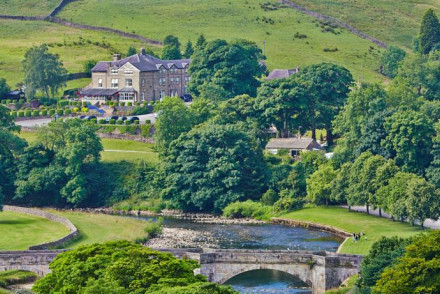 The former Coaching Inn on the Duke of Devonshire's Bolton Abbey estate is now a romantic hideaway spa hotel. Classic rooms exude comfort and style. 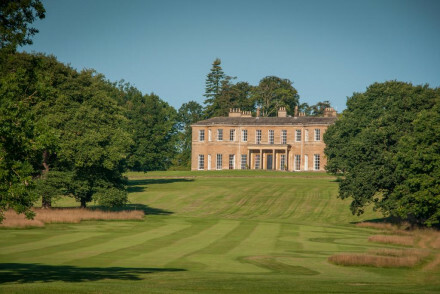 3 AA Rosette fine dining, a brasserie, indoor pool and stunning parkland setting makes this a popular place for families, wedding parties and romance. Hideaway - Mouthwatering food, wonderful service, plenty of activities and old school suites complete with fourposters and walk in showers. Active Holiday - With miles of walking, plus clay pigeon shooting, fly-fishing, and falconry available at Bolton Abbey Estate. Fishing - Fly fishing for brown trout and grayling along a 4.5 mile stretch of River Wharfe. Great walks - Ask at reception for some of well trodden and loved walking routes in the area. 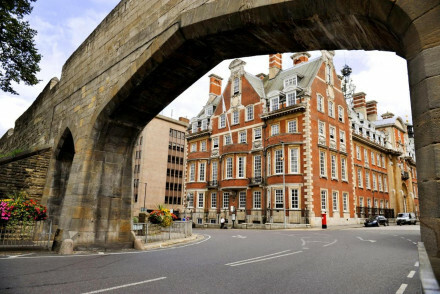 A landmark building in York boasting a prime position opposite the Minster. A pretty traditional exterior opens onto chic modern interiors featuring soft hues, clean lines and chic black tiled bathrooms. The cuisine is unfussy, local and undeniably good and staff are friendly and attentive. Families - The five family rooms on offer make this an ideal choice for those travelling with children. Local exploring - Centrally located with many of the city's main attractions within walking distance. Sailing - Take a scenic boat trip up the River Ouse. 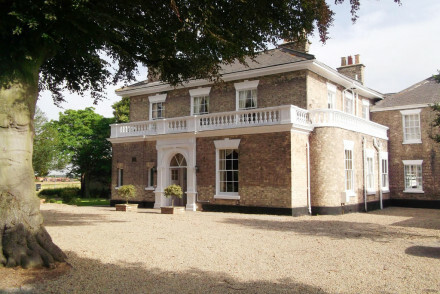 A luxurious country estate for private hire or individual accommodation in a rural setting. Four poster beds, fireplaces, hot tubs in rooms and a special treatment room for natural therapies make this an utterly spoiling stay. Organic food in the Coach House restaurant is a guilt-free treat. Weddings - if you have a country house wedding in mind, this is it! 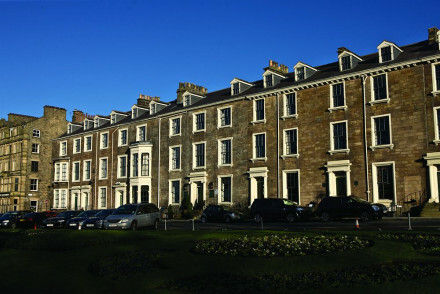 A row of Georgian houses wonderfully restored to create this chic spa hotel in Harrogate's Old Town. The comfortable suites ooze grown up style, with free standing tubs, muted tones and hard wood furnishings. Feast on award winning cuisine, sip on champagne and book in for a spa treatment. Bliss! Total relaxation - Unwind in style with bubbely in the courtyard, massages in the elegant spa and gorge in the chic restaurant. Foodies - Foodie Mecca, with award winning cuisine in the hotel bistro, an extensive cellar and more than ample bar! 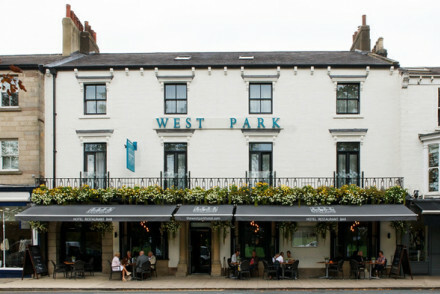 Local exploring - Harrogate is a beautiful town full of history, architectural delights, trendy eateries and boutique shops. Great walks - Just across the road is the historic grassland of The Stray in Old Town, with 200 acres of lawns. 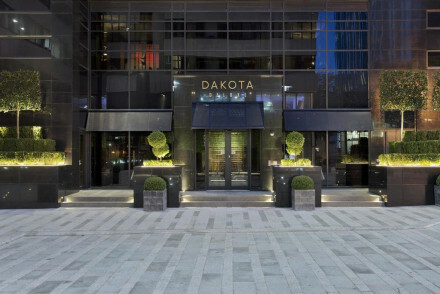 A glamorous contemporary hotel in the heart of Leeds. Immaculately designed throughout, rooms feature steel grey walls, sink-into beds, black and white photography and indulgent modern bathrooms. Fantastic food is served in the two restaurants and there's also a champagne bar and atmospheric lounge. City Style - Dark, moody and romantic with a slick bar and restaurant. Sights nearby - Visit the atmospheric Kirkstall Abbey. 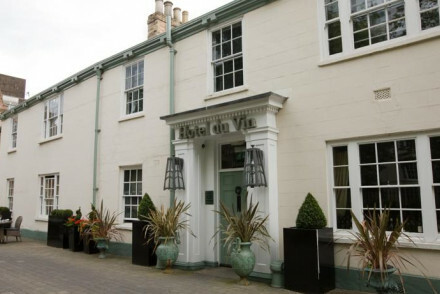 Located in the Mount area of York - Hotel du Vin has delightful, elegant bedrooms in a charming 19th Century, listed building. Lots of cosy, romantic spots to enjoy drinks and nibbles before venturing out to explore this fabulous city. Quirky and unique fine dining rooms for big celebrations. 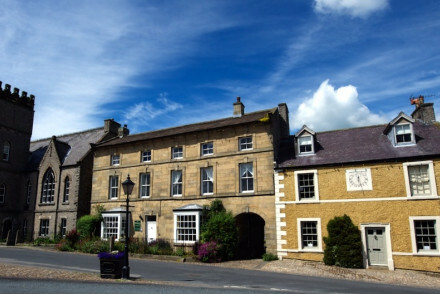 An historic former coaching inn turned smart hotel in the charming market town of Helmsley. Bedrooms offer a choice between quirky and original or country-contemporary. Guests love the sleek, fine-dining restaurant, pretty tearoom and lovely walled garden. An elegant escape close to the Moors. Foodies - Foodies will love the award winning restaurant, where everything is made in house using only the best of Yorkshire's produce. Local exploring - A well situated base for exploring this picturesque market town and right on the edge of the Moors. Great walks - Make the most of the over 1,400 miles of country paths and tracks around Ryedale. Sights nearby - Visit the ruins of Helmsley Castle that overlook the town. 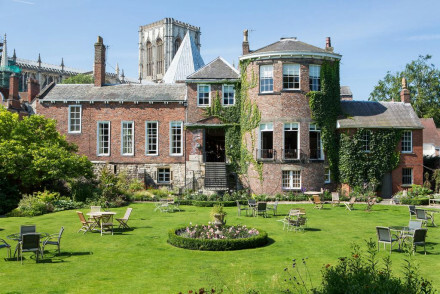 The perfect choice if you want to explore York but from the comfort of a country-house hotel. Classic looks combine with handsomely furnished rooms and a well-regarded restaurant, all wrapped up in acres of parkland - and the city just 10 minutes away. 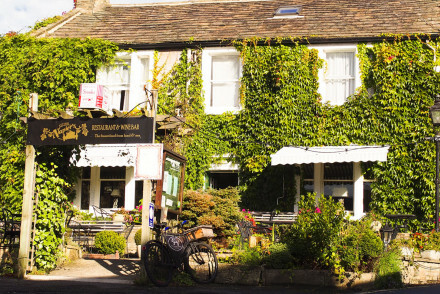 Chic old York stone inn and spa located in a picturesque Yorkshire village. Contemporary interiors meet luxury features to make a relaxing stay. Enjoy a diverse menu at the Weathervane, relax at the heated pool and indulge in spa treatments. A luxurious stay for local exploring. Foodies - Foodies will love the locally sourced and expertly crafted menu, plus a hearty breakfast is included in the price. Romantic Break - A secluded spot to getaway together, with tandem massages, deep soaking tubs, cosy corners and crakling fires. Great walks - The hotel is on the edge of the Moors and close to a National Park, an ideal spot for rambling. Sights nearby - Helmsley Castle, Castle Howard and Helmsley Walled Garden are all worth checking out. 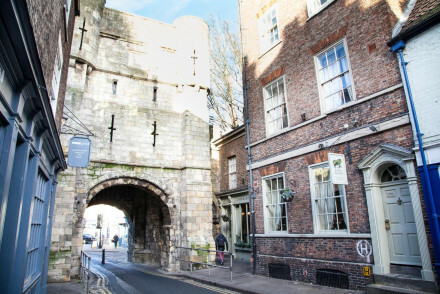 This hotel not only oozes history - the building dates from the 11th century - but is in an enviable location, between the Minster and the medieval walls. Bedrooms are light and gracious, the food elegant, and few tourists know it's there. Local exploring - An atmospheric base to explore the historical city of York. Great walks - Discover the rugged beauty of the North York Moors and Yorkshire Dales National Parks. 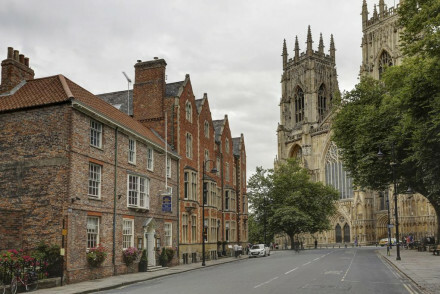 Sights nearby - Visit the majestic and neighbouring York Minster. 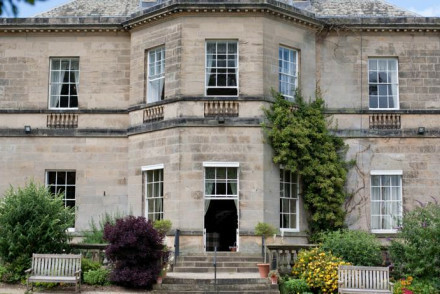 A luxurious grand country house located just outside historic Harrogate. Expect contemporary design throughout with large spacious rooms, fabulous bathrooms, modern art and bold chandeliers. Housing a restaurant, swimming pool, golf course and spoiling spa there's little need to leave the estate. Total relaxation - Set in a tranquil rural spot outside Harrogate and complete with fantastic food and a spa. Great walks - Find pretty walking trails in the surrounding countryside. A classic Victorian station hotel set in pretty gardens in the heart of the historic city. Elegant rooms are contemporary and spacious with the best boasting Minster views. Sumptuous afternoon teas and contemporary-style dining are a highlight. 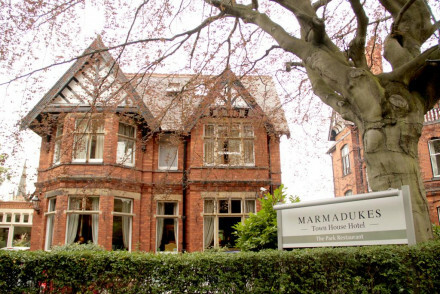 A luxurious retreat ideal for exploring York from. Hideaway - Set amidst its own beautifully landscaped gardens, giving the feel of remoteness, yet in the heart of the city. Local exploring - Ideally placed within easy access of York's main attractions. Sights nearby - Marvel at the intricate gothic design of the York Minster. Great walks - Take a scenic stroll along the city's ancient walls.